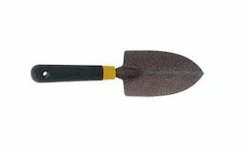 We offer Light Duty Trowel to our clients. Specifications : weight approximately 210gm. Best quality with hardwood handle blade length approx. 200mm. 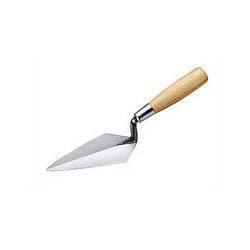 Advanced Technocracy Inc. is Manufacturer, Exporter & Supplier of Trowel. Our Stainless Steel Trowel are suitably meeting the requirements of the user during the oil filter operations. Provided with strong handle, these also facilitate the user to hold these firmly. By focusing on the varied and diversified needs and necessities of our customers, we are presenting a commendable plethora of Trowel. Made using comprehensive tools, technology and machinery, these are made under the direction of skilled personnel of our team. Also, our clients can get these from us at most reasonable rates. With the aid of dexterous professionals, we are proficient to present a superior quality of Sanding Trowel, which is known in the market for their high quality and longer service life. We offer KMC- 235 Khurpa with Wooden Handle 12.5 X 2.5 cm.